My design professor, Terence Oliver, is very committed to social improvement. Every year in his magazine class, the class chooses a social issue to create a social issue around. 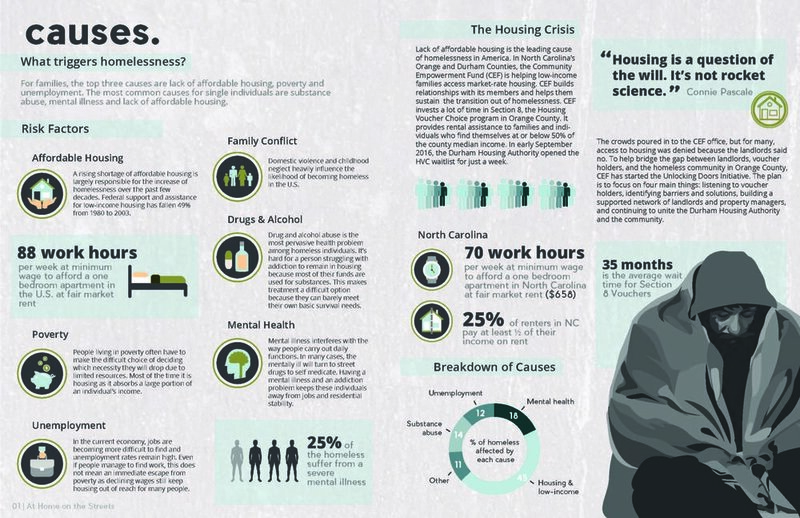 In 2017, homelessness had increased for the first time in seven years, so our class chose homelessness in North Carolina and the US. Every page was created by pairs.